In Queen Creek, Arizona, due to the hot and humid weather, the floors of a home or commercial place are usually decorated with ceramic tiles because they are very resistant to hot climates. These provide elegance and warmth to your floors because of the different colors and designs that you can find, making the place a comfortable space in which anyone would like to be. However, it is not enough to find the ideal design and install it. Like any ordinary object, it tends to get dirty, and more if we are talking about a material that is on the floor and are trampled by people who have crossed thousands of places before yours. Dirt can make that comfortable and good looking place become the most disgusting and the least frequented. The cleaning of ceramic tiles and grout in San Tan is not an easy job, it requires special tools, equipment and material, as well as experience to do it in the right way. It is for this reason that Arizona currently has many tile cleaning companies and it can be a bit difficult to choose one because we do not know what is the quality of the service that it offers. If you are in Phoenix Metro Area & Valleywide, Mesa, Chandler, Gilbert, Scottsdale, Paradise Valley or Sun City and you want a high quality and very professional service at a very affordable price, this is the best option. 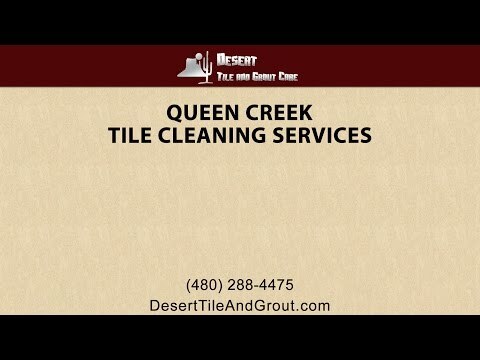 Desert Tile & Grout Care is a company bonded, insured, family owned & operated. It has over 14 years of experience in the tile cleaning and restore industry. Specialized in ceramic tile and grout cleaning to home and business owners. They have the necessary equipment and knowledge to give your floors a professional touch, rejuvenate, seal, and restore them to look brand new. Located at 2917 E. Park Avenue. Gilbert, AZ 85234. A company located 10645 N. Oracle Road Ste. 233O, Oro Valley, AZ 85737. The best service in Tucson and its surrounding areas including Oro Valley. It offers tile and grout cleaning for all types of floors, counter tops, showers, patio’s, and more since 1998 and it is licensed registered contractor in stone, tile and grout restoration and specialized in cleaning, sealing, restoration and repair of all types of tile, grout, natural stone and concrete surfaces. This Company works in Flagstaff, Sedona and Cottonwood and it is located in 2420 N. 3rd St. Suite C. Flagstaff, AZ 86004. It counts with the best tools and certified masters. They are experts in stone, tile cleaning and sealing and can call you whenever you need them no matter the time due to their 24 hour emergency service! Now you must know that if you are looking for the best ceramic tile and grout cleaning of Queen Creek, do not hesitate to choose one of these three, depending on the place where you are. If we must highlight something in common with these companies, it is the great experience they have and the high quality of service that they offer, besides their competitive prices. We are sure that with this service your floors will look radiant, new and will last for a very long time. Many residents of different parts of Arizona that opted for Desert Tile & Grout Care, Arizona Tile & Grout Care or TG’s Carpet Cleaning & Restoration Services, were very satisfied with the quality of service and today are regular customers and recommend it. Desert Tile & Grout serves the entire Phoenix area, cleaning tiles, restoring, coloring and sealing grout, restoring brick, and more. If you are considering replacement for your tile or brick floors, consider getting them professionally cleaned and restored first, done right these deep tile cleanings can make floors appear as good as new.